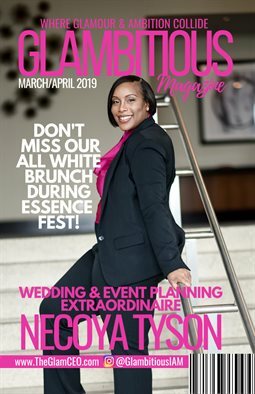 Glambitious Magazine features impactful entrepreneurs from around the country! Connect on Instagram/Facebook @GlambitiousIAM or visit TheGlamCEO.com to confirm your own interview! We also offer webinars, ebooks, an iTunes podcast and other creative business services.